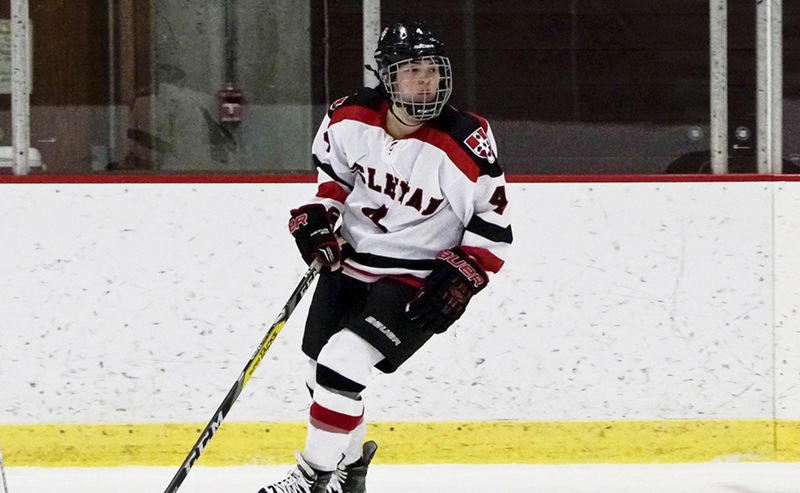 After several games, the Wesleyan ice hockey season is well underway. As of November 26, the men’s team is 1-1-2. The team is led by seniors Jordan Jancze and captain Theo Tydingco, as well as junior defenseman Chad Malinowski. Also helping lead the charge is the reigning NESCAC Freshman of the Year, Walker Harris ’20. 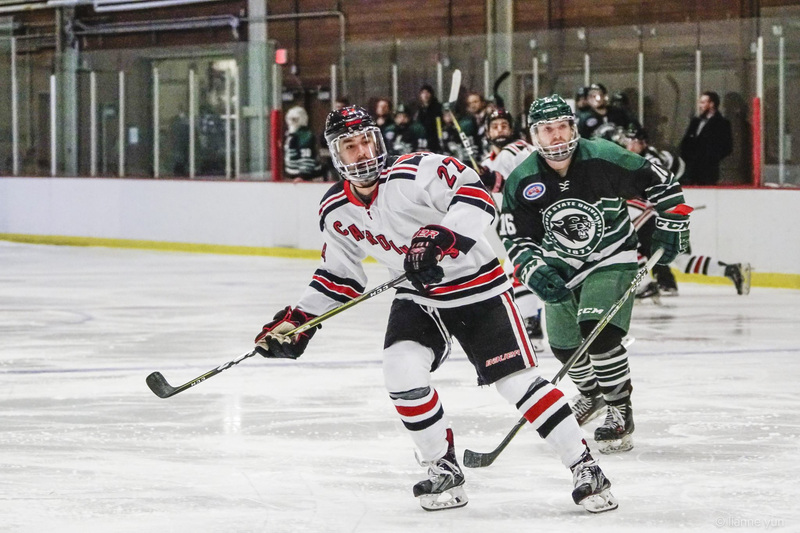 After starting the season with a tough loss to Connecticut College, the Cards answered by scoring two goals in the third period to tie the Tufts Jumbos the very next day. “We have a lot of confidence, so we think we can get over the early loss,” said Tydingco. Tydingco believes the team is full of great players in each class. He noted that several first years and transfers that the Cards recruited have looked promising in practice. Last Saturday, Nov. 25, the Cardinals got their first win of the season over Franklin Pierce University. Four players registered multi-point games for Wesleyan. That day, Tydingco and Harris both scored their first goals of the season. The next day, Sunday, Nov. 26, the men’s team battled Plymouth State University. After being down 2-1 at the beginning of the third period, the Panthers of Plymouth State netted two goals in the span of 30 seconds. The game ended in a 3-3 tie with a clutch goal coming in the final minutes of the third period from Malinowski. Sophomore Spencer Fox finished the game with two much-needed assists. After four games, the Cardinals look solid on paper. In every contest, the Red and Black have had more shots on goal than their opponent. Despite only winning one game thus far, the Cards have a goal differential of +1. The Cardinals create ample opportunities, and this will help them win games moving forward. On another high note, senior Dylan Holze has notched an impressive five goals in four games. Holze’s shooting ability will certainly come in handy this week, which is rife with competition. On Saturday, they face-off against Amherst, and then on Sunday they travel to Clinton, New York to take on the eighth-ranked team in the nation, the Hamilton Continentals. The Red and Black will learn a lot about themselves this week. Also on the rink is the Wesleyan women’s ice hockey team, which is led by senior captain Alex Horton and coached by Jodi McKenna, who is entering her 10th season as the head coach. After five games, the women are off to a 2-3 start, with both wins coming at home. The Cardinals kicked off their season with a 3-1 loss at Manhattanville College. Sophomore Alicia Nickolenko scored her first goal as a Red Bird with great passes from juniors Grace Keogh and Sarah Goss. This winter, Goss has taken up an assistant captain role, as she will be a big part of the defensive effort this year. First years Maggie Curran, Sarah Takahashi, and Sydnee Goyer, and junior Hedi Droste all made their debuts as Cardinals on Friday. In their home opener, the Cards defeated the Post University Eagles. The Dirty Birds controlled the game from the start, dominating the territorial advantage in terms of offensive-zone time, and held a commanding 51-15 advantage in shots on goal. It was a great home opener for the Wesleyan women, especially for junior forward Gina Mangiafridda, who scored a pair of early goals, and Goss, who tallied a goal and an assist. This past weekend, the women’s ice hockey team participated in the 11th Annual Codfish Bowl Invitational in Boston, Mass. In their first game, the Cardinals squared off against the University of Massachusetts Boston Beacons, but Wesleyan dropped the game, 3-1. One positive takeaway from the game was junior forward Bridget Sherman finding the back of the net for her first goal of the season. In the second game, the Stevenson University Mustangs handed Wesleyan their third loss of the season, defeating the Cards 2-1. The Red Birds could not capitalize on any of their three power plays but managed to kill both of Stevenson’s power plays. The team has posted a 91.3 penalty-kill percentage, killing 21 of 23 power plays this season. Up next, the women’s team opens up their NESCAC campaign this weekend, taking on Little Three rival Williams on Friday and Saturday at home.